Credit? Yes. Would I use them? Hell no. and italians P26/40 was good tank also Japans Typ 4 and Typ 5 HO RI etc etc. Yeah, it took way to long to develop bigger guns. the 6pdr was really needed in 1940, and didn't arrive until 1942. and the 17pdr was needed in 1942-43 and didn't come into use on tanks until 1944 and even then only as a cludge installation in a converted Sherman, or on the A30 Challenger, which was basically a stretch Cromwell and very rare (only a few hundred built). That's a bloody German(ish) tank! 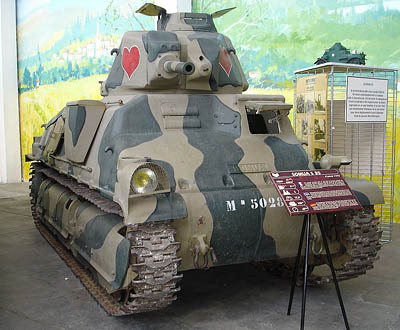 Who the hell said that the french had better post 1940 tanks? he M1A1 showed up, and even then, the Challenger II still is on top list. And Challenger 2 has Dorchester armour (chobham mark 2) and a rifled gun which gives it 50% more accurate range. longest range tank V tank kill in history, was made by a Challenger. Also the rifled gun can fire HESH rounds, this means it can kill other things besides tanks, the Abrams has no HE round! There an article on this anywhere? Timer67, CENTURION, now there's a tier 10 if ever i seen one, and if the type 59 fits the games criteria im bloody well certain this beast is more than fitting for the game!!! Hammerbolt, great information which is spot on, im sick to death of looking at tank vids on Utube and seeing americans praise the almighty M1 abrahms which is German firepower, British composite armour and a typicly american "gas" munching engine!!! The french army's main problem was doctrine, not equipment. As anyone can see, the 2 main french tanks (S35 and B1-bis), in the hands of a properly trained crew, could kill any german tank with ease, while being almost impossible to kill by the same tanks. German's superior training, tactics and planing carried the day. French designers had the time, during 1940-1945, to come up with any number of ideas. They didn't have a desperate army breathing down their neck, screaming for "moar tanks now!!!". So what if they wasted time designing new toys, of remaking pre-war ones? Because its not going to happen. the whole Idea of the smoothbore was cheaper ammo. Ammo in a CR2 is split piece, the smoothbore round is one piece. You can't store the same ammo in the same tank, so that would require an entirely new turret, which is more expensive than the ammo savings. Planning to re-create Kelly's hero's? There's only one tank for the job!